When you’re in traffic and slowing, idling and accelerating through busy intersections, keep your windows rolled up and your fan off. That’s the advice from researchers at the University of Surrey in England, who found the amount of harmful pollutants in stop-and-go traffic is 29 times higher than it is when traffic flows freely. The findings came from an examination of pollution at various points on a drive down open roads and busy intersections in Guildford, Surrey. The increased pollutants occur when drivers decelerate and stop for traffic signals, then accelerate to resume driving. “The best ways to limit your exposure is to keep vehicle windows shut, fans off and try to increase the distance between you and the car in front where possible,” said lead author Prashant Kumar, a lecturer at the University of Surrey. “Pedestrians regularly crossing such routes should consider whether there might be other paths less dependent on traffic light crossings. Local transport agencies could also help by synchronizing traffic signals to reduce waiting times and consider alternative traffic management systems such as flyovers,” he said. The World Health Organization, which has studied the health risks of indoor and outdoor air pollution, says that air pollution is now the world’s largest single environmental health risk. Based on a 2014 survey, it is tied to 7 million premature deaths a year, the organization says. Exposure to polluted air has been linked to a variety of serious health conditions, including lung cancer and respiratory and cardiovascular disease. The WHO said pollution has worsened since 2009. It found the dirtiest cities are in Iran and India. The English study, “Concentration dynamics of coarse and fine particulate matter at and around signalised traffic intersections,” was published in Environmental Science: Processes & Impacts. A discussion of the research, “Stopping at red lights exposes drivers to high levels of air pollution, new study finds,” was published by the University of Surrey. The World Health Organization’s air pollution pages are here. The U.S. Centers for Disease Control and Prevention’s “Air Pollution and Respiratory Health” page focuses on the CDC’s fight against environmental-related respiratory illnesses. Talk with your health care provider about ways to reduce your exposure to harmful pollutants, especially if you are at risk for respiratory or cardiovascular diseases. 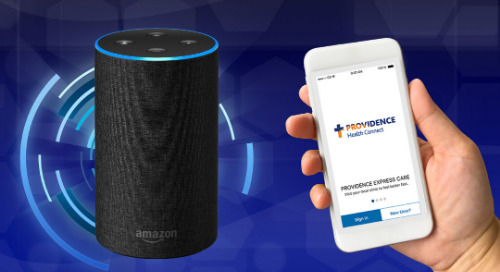 You can find a Providence provider by using our multi-state directory. A new study on depression treatment finds many U.S. adults suffer from the mood disorder but remain untreated.